Convenient and simple to use, the HS-5 allows up to five musicians to rehearse, jam, and record while monitoring with headphones. 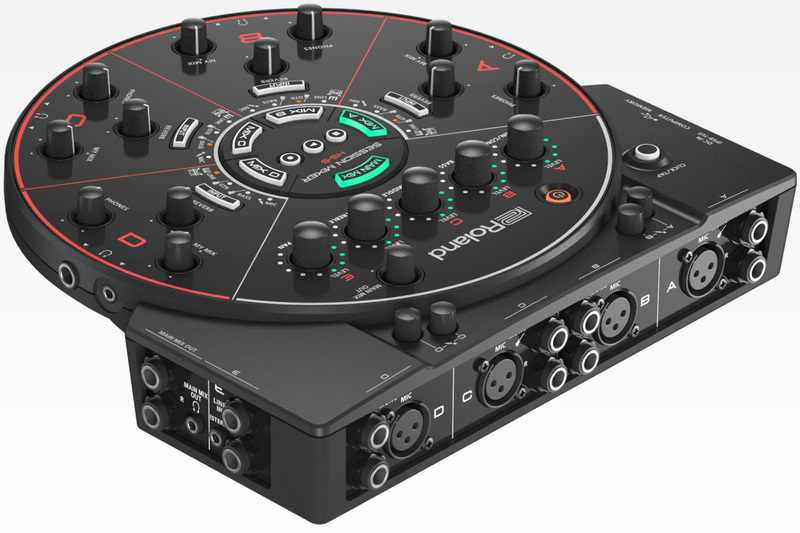 Players have individual hands-on control of their personal mix, plus access to reverb and COSM effects for guitar, bass, and vocals. Bands can capture stereo recordings directly to a USB thumb drive, or connect the HS-5 to a computer via a USB cable and record each channel to individual tracks in a DAW. Additionally, each musician’s personalized settings can be saved for instant recall, providing quick setup for future rehearsals and recording sessions. 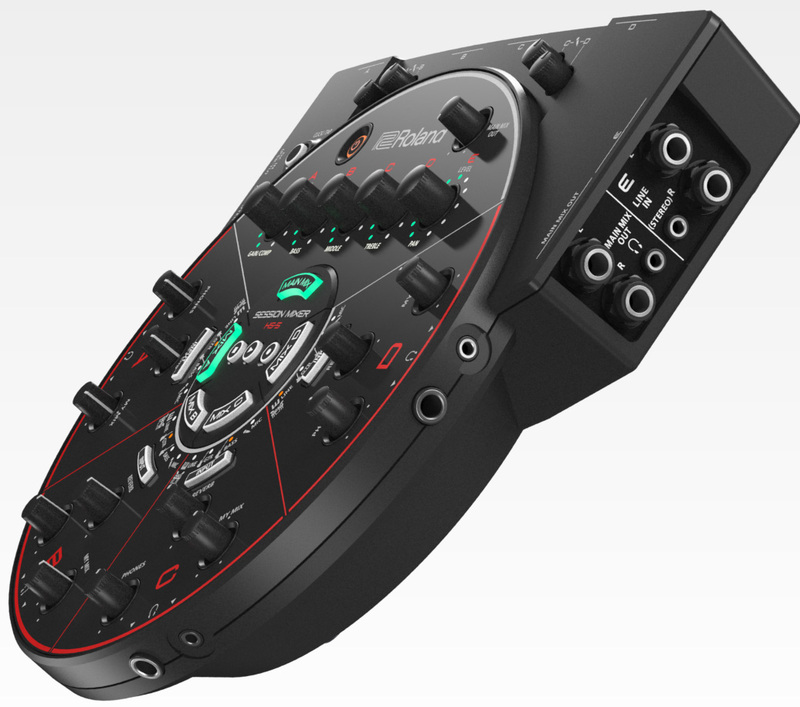 The HS-5 allows every musician in a group to set up their own independent monitor mix using the Mix A thru Mix D switches located in the center of the unit. 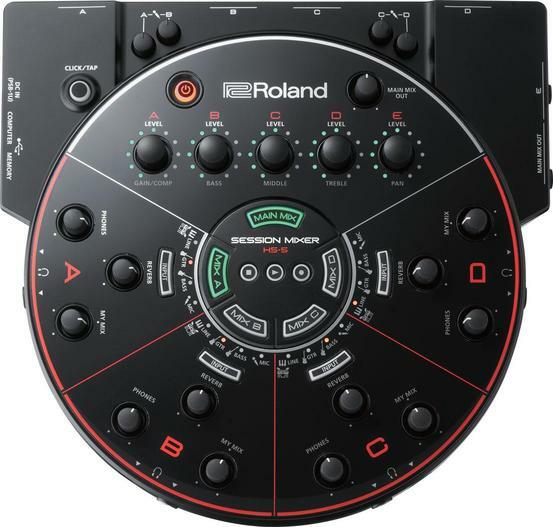 Once an overall mix has been decided, musicians can use the My Mix knob to adjust the volume of their own mic or instrument, and they can also add ambience independently with their channel’s Reverb knob. 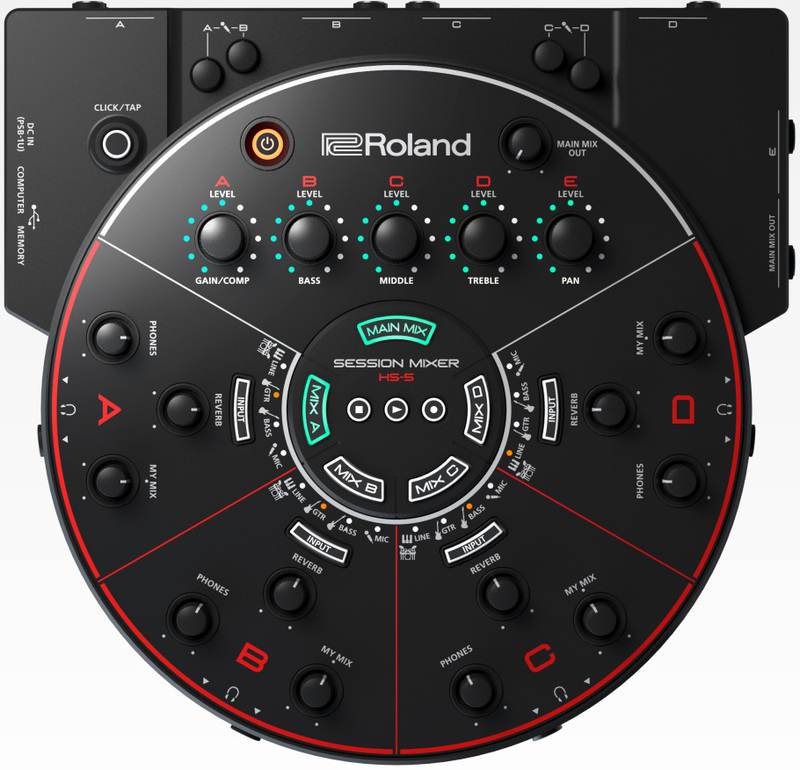 Current settings are clearly displayed with LEDs encircling the knobs, making it easy to check the status while playing. For larger groups, another HS-5 can be connected in tandem to accommodate up to eight musicians. The HS-5 provides access to guitar and bass amp modeling on four independent channels. This means that players can connect their electric guitar or bass directly into the HS-5 and jam with the same sound and feel as playing through an amp. 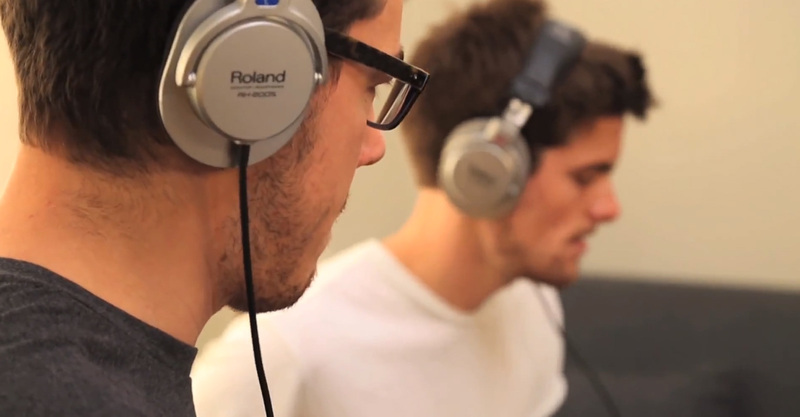 Vocalists can also experience enhanced, studio-quality sound via the built-in compressor for each mic input. With the intuitive panel controls, HS-5 users can quickly adjust EQ and pan settings and dial in just the right amount of amount of guitar distortion or vocal compression. By connecting a USB thumb drive to the HS-5’s Memory jack, it’s extremely easy to record stereo mixes of group performances for evaluation and sharing. For more advanced production, it’s possible to connect to a computer via USB and record each performer to individual tracks in popular DAW software. This powerful combo creates an incredibly simple and versatile system for creating complete ensemble recordings. Timing is essential for rehearsal and recording, and the HS-5 includes a built-in metronome to keep everyone playing together. Just press the dedicated Click/Tap button to start the metronome, and then tap the button at the desired tempo to adjust the speed for the music. The HS-5’s snapshot function allows you to save all the unit’s current settings to a USB thumb drive. This lets your entire group resume performances right where you left off—even at a totally new location or a much later date. Introducing the HS-5 Session Mixer. Each recording time is approximate. The times may change depending on the card specifications. In case that there are plural files, the sum of recording time would be shorter than above. Maximum recording time of one song is 200 minutes.